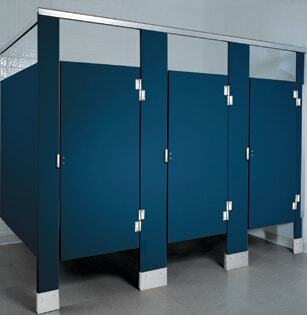 Solid Plastic bathroom stalls material is solid, one inch thick HDPE (high density polyethylene). It is impervious to moisture, so it rust, delaminate, mildew or absorb odors. The color goes all the way through the material, so Solid Plastic (HDPE) never needs painting and scratches can easily be repaired. Solid Plastic is highly impact resistant so the dents and broken doors that are so common with other types of partitions are practically eliminated. Graffiti is also no match for Solid Plastic – it can be easily wiped away with ordinary cleaners. 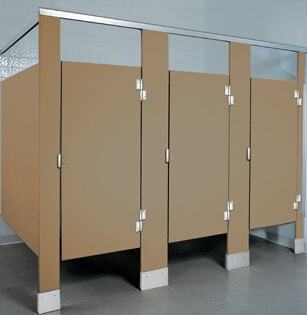 Solid Plastic bathroom partitions also known as Solid high density polyethylene (HDPE) plastic restroom dividers offer one of the best solutions for high traffic and moist wet environments. Solid plastic bathroom partitions are impervious to moisture, so they won’t absorb odors, delaminate, rust, or mildew. 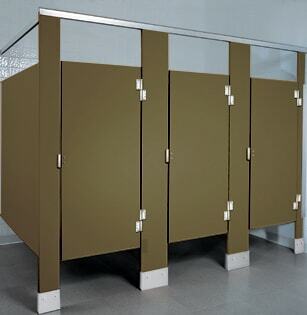 HDPE toilet partitions are available from One Point Partitions in 16 color options. 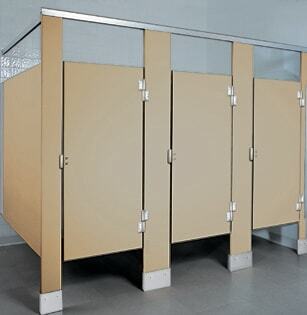 Solid plastic bathroom stalls are a great solution for high traffic areas such as school, churches, public facilities, and restaurants. Consumers agree that solid plastic is the material of choice where low maintenance and high durability are required. Panels, pilasters, and doors are all made form solid 1” thick High Density Polyethylene (HDPE) and are available in a variety of colors and finishes. 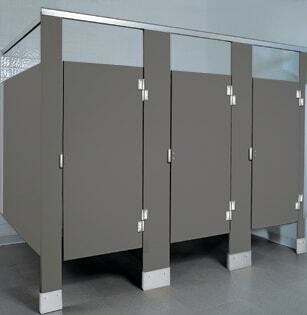 Solid plastic restroom partitions and urinal screens are completely water resistant and are unaffected by steam and humidity. This material will not dent, flake, crack, or delaminate and is also mildew, rust, and graffiti resistant. Heavy duty wrap around hinges resist wear and all solid plastic partitions are assembled with through bolts for added strength. 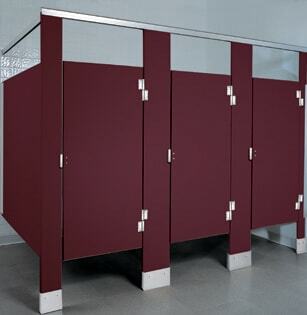 Solid Plastic bathroom partitions are ideal for high traffic or high moisture areas, constructed of 1” solid plastic High Density Polyethylene (HDPE), this low maintenance material features homogeneous color and compound throughout which is scratch, dent, graffiti and rust resistant.